In an Australian first, Lifeline has today launched the #BeALifeline Twitter Direct Message (DM) Chatbot to help family and friends better support any loved ones who are going through a tough time. The chatbot makes Lifeline’s resources easily discoverable and acts as a touch point for primary caregivers to discreetly request support in times of need. The #BeALifeline Chatbot has been created in partnership with Twitter’s pro-bono advertising program, Ads for Good, which aims to give back through community involvement and social responsibility. 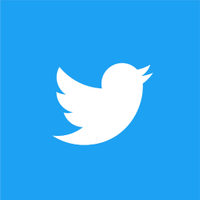 Twitter has granted Lifeline USD$100,000 in promoted advertising inventory to raise awareness of the #BeALifeline Chatbot. #BeALifeline is accessible through the Tweet below or via Direct Message on Lifeline’s Twitter page @LifelineAust. To activate the DM chatbot, family and friends can visit Lifeline’s Twitter homepage and click on ‘Direct Message’ to start a conversation. The Lifeline Chatbot offers three options to seek contact details, advice, and information during a crisis. “Preventing Suicide” and “Self Harm” directs users to additional resources, while “Get Help Now” provides contact details to get in touch with trusted professionals over the phone or via text, as well as offers places to seek additional services close by. This is an important initiative for Lifeline in maximising service accessibility. Family, friends. and people with lived experience, often tell us that it’s difficult to find the support they need, quickly. There is support out there, we want to make it accessible. The #BeALifeline DM Chatbot provides a quick and easy way to seek help and receive information fast. It’s our hope the bot will remove some of the stress that surrounds help seeking and increase the opportunity for people to access the services and support they need when they need it. Suicide is a huge challenge in Australia accounting for eight deaths a day. We’re always looking for ways we can help support the community, which is why we’ve partnered with Lifeline to offer this Australian first. The Lifeline Chatbot is really about empowering family and friends worried about loved ones with the right tools and information. It’s a simple but innovative measure that we hope supports those in need. A special edition Twitter emoji featuring a heart supported by hands has also launched alongside the Chatbot. The emoji can be activated by Tweeting the hashtag #BeALifeline.